UCLA provides undergraduates with an education that’s just as good as Harvard, and the country might be a better place if we all faced up to that and took Harvard and the rest of our super-elite universities off the pedestal we’ve placed them on. argument and defend it against objections, they have to write lots of papers, be able to work on them with someone who knows how to write and also knows the subject matter, and have them graded by someone in a position to make serious comments so they can do better next time. Ivy League students sometimes complain that most of the discussion-leading and careful paper-grading — they call it “real teaching” and they’re right to do so — is done by grad student teaching assistants, since seminars with professors are scarce. But at the University of California these days — and I’m told it’s been like this at Michigan for decades — graduate and undergraduate funding cuts mean that most upper-level courses have no discussion sections and no teaching assistants. In other words, the real teaching doesn’t take place at all. Papers, if they’re assigned at all — and increasingly they’re not — are graded by “readers” paid so poorly that they can only spend a few minutes on each paper, are not available for writing assistance, and can’t even be required, given their meager pay for long hours, to attend the lectures in the classes they’re grading for. There’s no way readers can grade papers carefully in such circumstances: they put check marks in the margin when something of substance is mentioned, and pass pretty much everyone through. As for professor-led seminars, never that plentiful, they’ve all but vanished: they simply cost too much. Consider what this means. Even leaving aside freshman writing courses and the writing-heavy introductory courses that many majors require, Ivy League students will write two or three real papers, with intensive comments and help if they want it, in every social-science and humanities class they take. UCLA students will write maybe four papers in a freshman writing class, three papers in an intro class in their major — these still have TAs, though they’re responsible for far more students than used to be the case — and a sprinkling of unassisted and barely-assessed papers in a few upper level classes. That’s it. And that’s a difference of at least forty papers over four years, probably more like fifty or sixty. Depending on the university, most private university students also write at least a couple of longer research papers, and a big chunk (at Princeton, everyone) write senior theses. UC students rarely write research papers, and very few write theses. The faculty resources to advise theses aren’t there, and the students would be very poorly prepared to write them anyway. It’s not that the undergraduate education is better at Ivies than at other private universities. 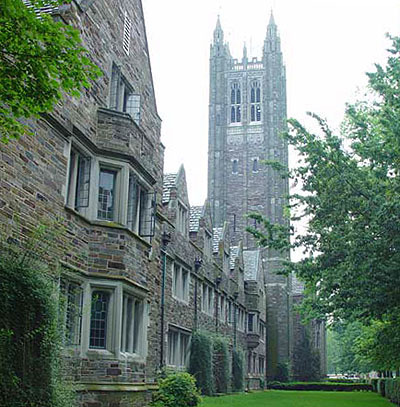 (In fact, Ivies almost certainly provide a worse education than many obscure liberal arts colleges that may have loose admissions standards but provide very intensive and personal instruction.) It does mean that, in the current budget situation, pretty much any private college will provide a much, much better education in the liberal arts and social sciences than any public university — except the rare ones that operate like liberal arts colleges, like William & Mary or SUNY-New Paltz. This wasn’t always true. (In 1970, Berkeley spent 70 percent as much per student, from all funding sources, as Stanford. As of a few years ago the figure was 30 percent and now I bet it’s more like 20 percent. With those numbers, there’s no way that the private-public distinction is a matter of fancy gyms and climbing walls.) I wish it weren’t true now. And none of this necessarily means you’re wrong about how to fund higher education: subsidizing students to attend the Ivies in some ways may widen the gap I’ve just mentioned. But if I were an employer or a professor in charge of grad schools admissions, I’d have to judge that a random UC graduate on average (I’m not talking Ezra Klein), and regardless of native talent, can probably write and think analytically on the same level as a typical student starting his or her third year at Grinnell or Beloit. Public universities, desperate to prevent a flight of bright and relatively well-off students, are obscuring a basic fact: the result of less money spent on real teaching must, over time, be less learning.